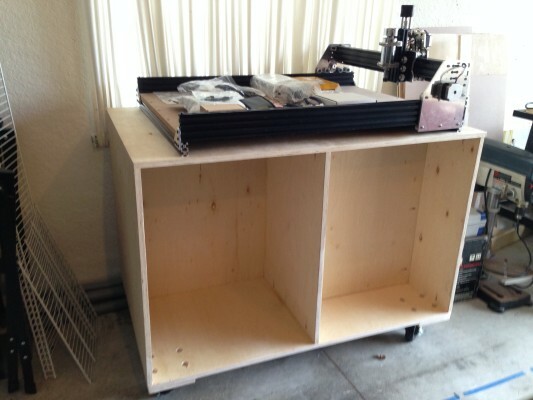 I just finished building a rolling cart for my workshop – nicknamed the “Ox-Cart.” I constructed this cabinet so that I have a place for my OpenBuilds Ox CNC machine. 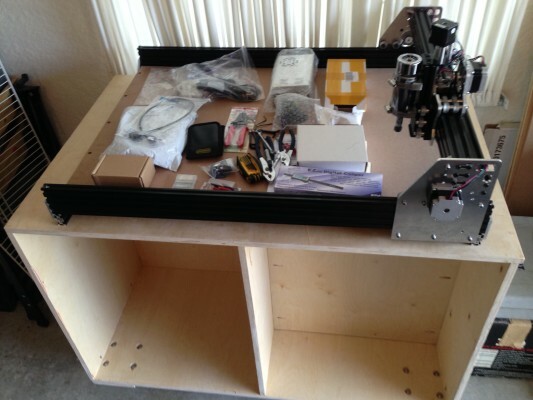 The CNC machine has a footprint of approximately 30-in by 40-in, so I built to cart to have a 31-in x 48-in top. It is on locking casters so that I can move it around my garage, and so that I can get to the built-in storage on both sides. 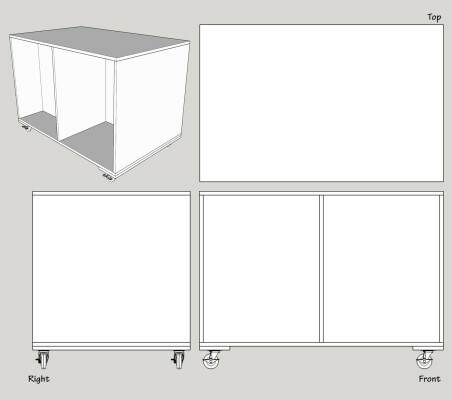 The cart was made from two sheets of 3/4-in plywood and I used pocket screws to speed through assembly. You can download basic assembly instructions below.